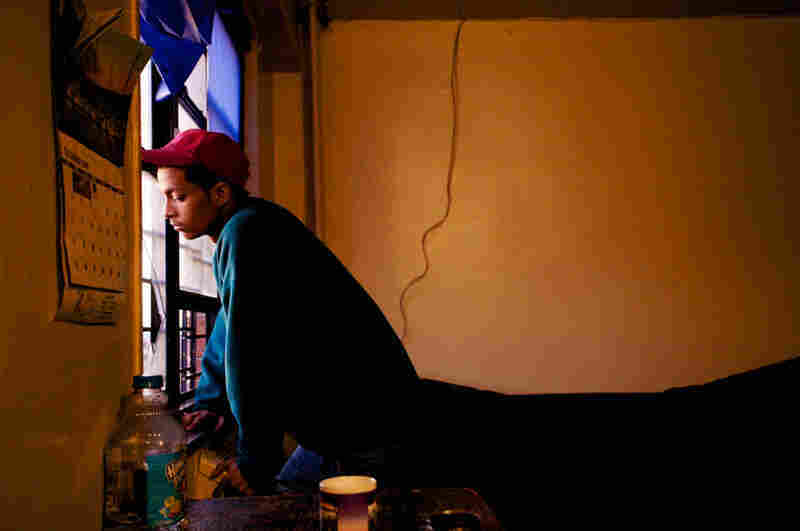 An Exhibit Offers A Different Angle On Life In Public Housing An exhibit in Brooklyn aims to upend stereotypes about public housing by profiling residents and their achievements. The curators know their subject well; they once lived in public housing themselves. Ephraim Benton, a former resident of Tompkins Houses in the Bedford-Stuyvesant section of Brooklyn, is now an actor. 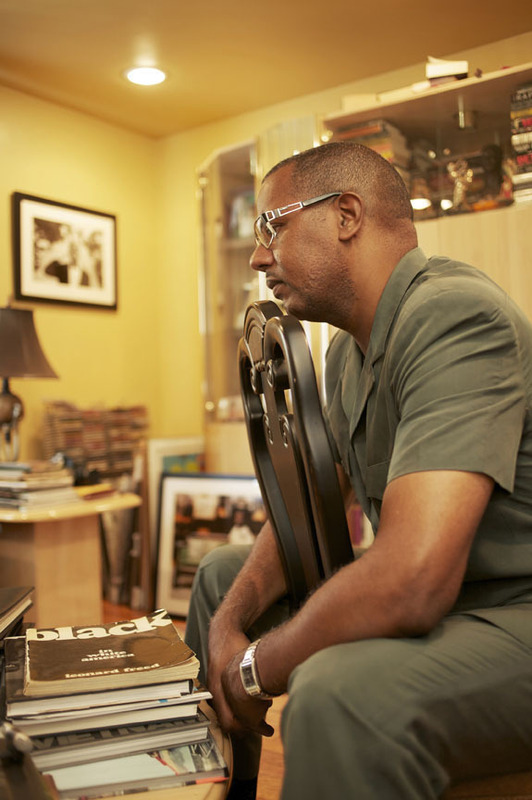 Benton started a community-based organization called Beyond Influencing Da Hood, which puts on health fairs, film festivals and various free community events in his old housing project. This photo was taken in front of his old building in Tompkins Houses. Mark Medina was 19 when interviewed in 2009. He spoke about his neighborhood of Brownsville, an area with one of the highest concentrations of public housing in New York City, and about being frustrated with the police department's stop-and-frisk policy. He and his friends had been harassed by police in Brownsville, he said, and he felt that socioeconomic and racial bias instigated the incidents. 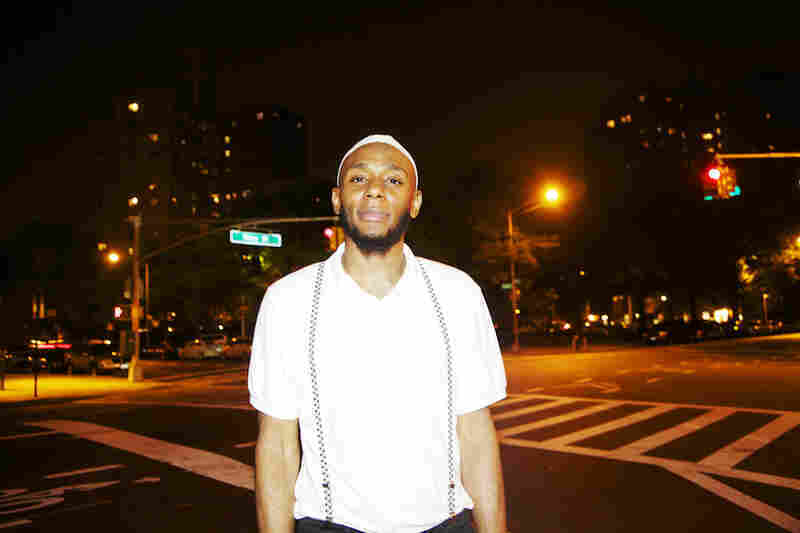 Yasiin Bey (formerly known as Mos Def), former Roosevelt Houses resident. He is a hip-hop artist and actor who has appeared on Broadway (Topdog/Underdog), television (Showtime's Dexter), and in film (Monster's Ball, Be Kind Rewind, Cadillac Records). This photo was taken in front of the Farragut Houses in the Brooklyn neighborhood of Dumbo. 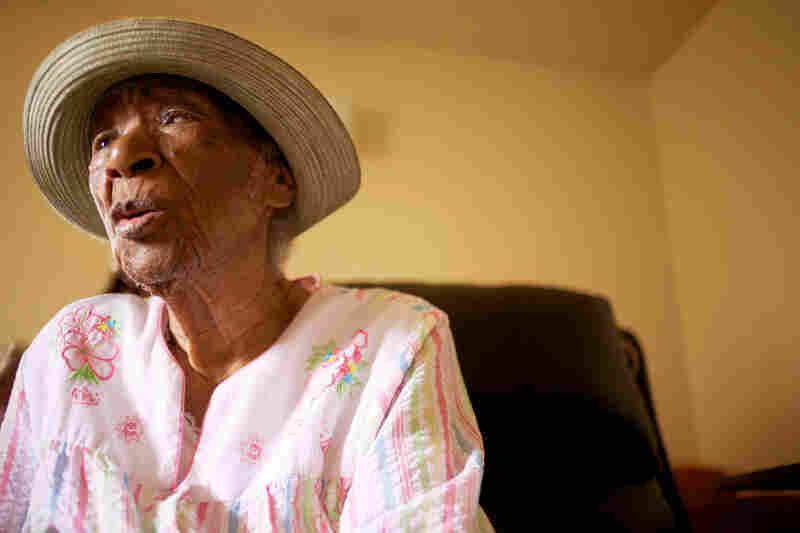 Susie Mushatt-Jones, now 115, is a Vandalia Houses resident. She was a domestic worker for most of her life, including a stint with the family of a prominent Paramount Studios executive while living in Hollywood. She put four of her nieces through college and one through graduate school, all on her small salary. When asked why, she said, "Because I wanted them to have what I didn't have." Twin brothers Jameel and Jaleel Faussett were 9 when this photo was taken in 2011. 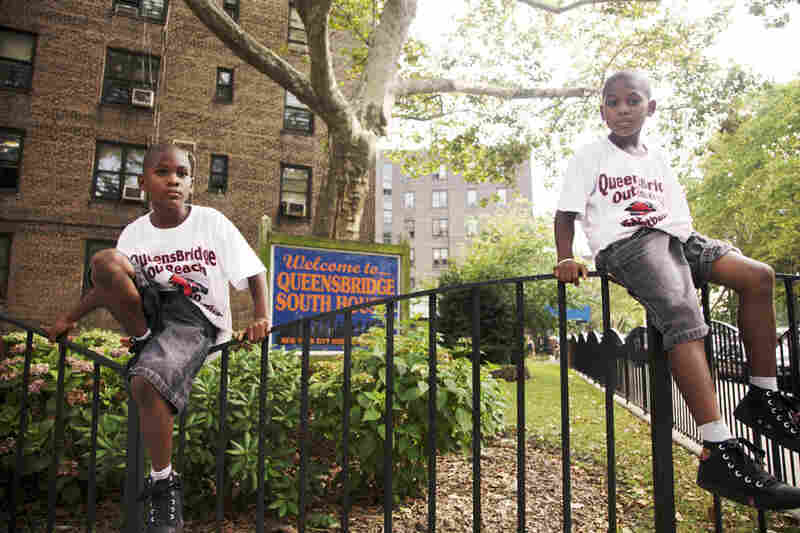 Residents of Queensbridge Houses in Long Island City, they were participating in a neighborhood summer camp funded by former Queensbridge Houses resident and NBA star Ron Artest. That same day, Artest threw his yearly cookout at Queensbridge Park, featuring free food and entertainment for the entire community. Yvonne Shields (right) hugs one of her volunteers at the Manhattan community kitchen where she works as a sous chef. A resident of Highbridge Gardens in Manhattan, Shields is also a member of the local organization Community Voices Heard. "I would wait till they had gone far down [Maryland Route] 197 and then I would double back and start walking towards Kimberly Gardens," he says. Today, Washington is no longer embarrassed. He knows that many hard-working, incredible people live in public housing, despite the stereotypes of drugs, crime and despair. Rico Washington (left) and Shino Yanagawa once lived in public housing. Their exhibit profiling current and former public housing residents, We The People, is on display at the Brooklyn Historical Society until March 11. It was the 2009 confirmation of Supreme Court Justice Sonia Sotomayor that inspired him to act, he says. "People just could not believe that this woman was from public housing," he says. "I mean, she had had 15 years of experience on the bench. She also had two Ivy League degrees." So Washington, now a writer in New York City, decided to try bringing other public housing success stories to light. He teamed up with Shino Yanagawa, a photographer who had her own perceptions of public housing when she moved to New York from Japan in 2004. At first she was excited when her then-husband told her they'd be living in public housing — in part, she says, because Western hip-hop music made it sound very cool. "I thought it's going to be super-exciting!" she recalls. "I know it sounds crazy, but this is what happen when you grow up in Tokyo and listen to a lot of hip-hop." Instead, she found crime, hopelessness, and urine in the elevators. But Yanagawa says she also saw other things there — families struggling for a decent life, and people like her ex-husband, who emerged to become a doctor. She decided that she wanted to send a message to those growing up in housing projects "that you can always choose what you want, you can always choose your path." So Washington and Yanagawa interviewed and photographed dozens of current and former public housing residents about their lives for a project that they hope will add something to the national conversation about stereotypes and race. 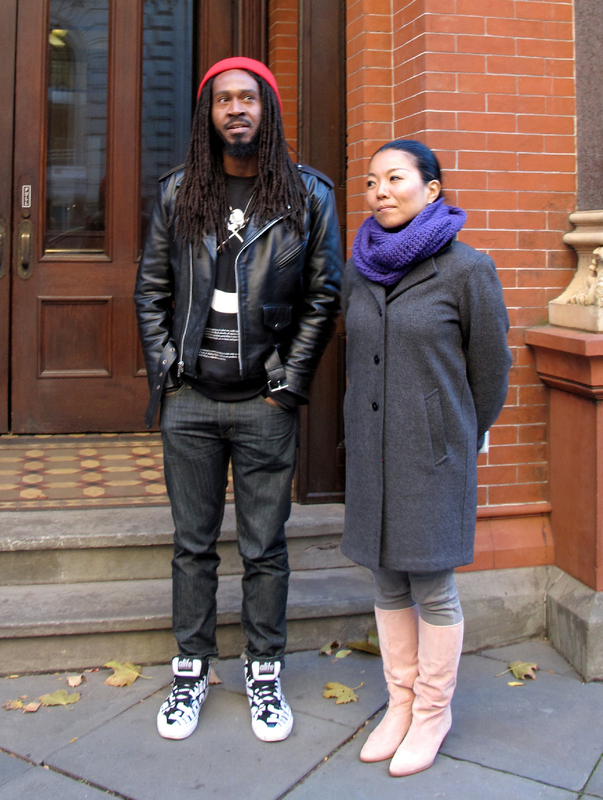 Their work is currently an exhibit at the Brooklyn Historical Society called We The People. The display includes numerous photos of public housing residents who have had successes, both large and small. Washington points to one photo showing a young man sitting on a couch, laughing with his mother. His name is Brian Paupaw. He grew up in public housing in Brooklyn, Washington says, but got a scholarship to attend Parsons The New School for Design in Manhattan. While Paupaw was there, Washington says, a white roommate invited him to go snowboarding. "And he was like, 'Nah, that's something that white people do,' " says Washington. " 'Black people don't snowboard — that's crazy. Why would I want to do that?' "
But Paupaw decided to go anyway — and it changed his life. He became an accomplished snowboarder and started a nonprofit called the Hoods To Woods Foundation, which takes teens from the inner city snowboarding, rock climbing and hiking. Another photo depicts an elderly woman in a striped housedress and straw hat, staring into the distance. "Susie Mushatt Jones," Washington says. "She's a centenarian. We interviewed her when she was 111." 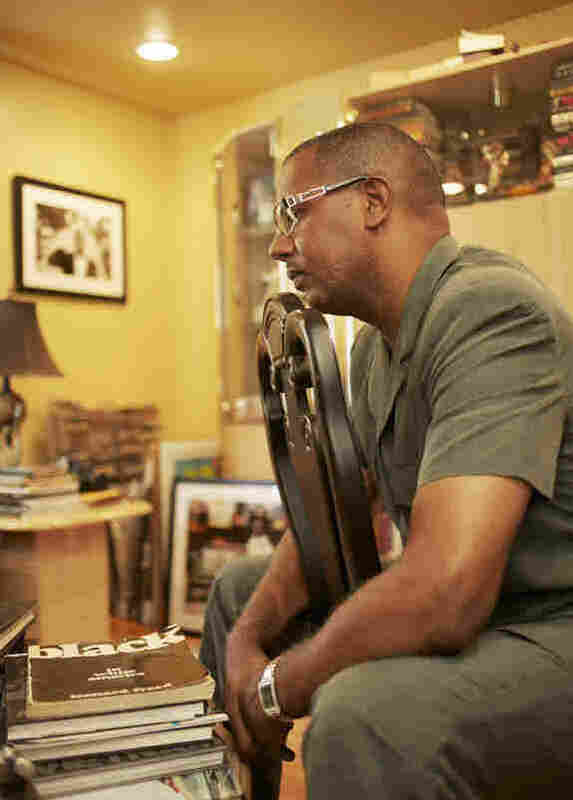 Jamel Shabazz, a former Red Hook Houses resident, is an iconic photographer currently based in New York. His popular book Back In The Days has impacted the trajectory of street photography over the past decade. He is closely linked with the Rush Philanthropic Arts Foundation, which has an arts education initiative geared toward kids and young adults. Washington says Jones lived in Vandalia Houses in Brooklyn. She worked her entire life as a domestic servant, but managed to save up enough to help four nieces go to college, something she was unable to do herself. The stories in the exhibit involve some who are little-known and others famous, like hip-hop artist Yasiin Bey, formerly known as Mos Def. If there's a common theme, Washington says, it's that almost everyone they talked to said living in public housing actually helped them succeed, by teaching them how to do more with less. 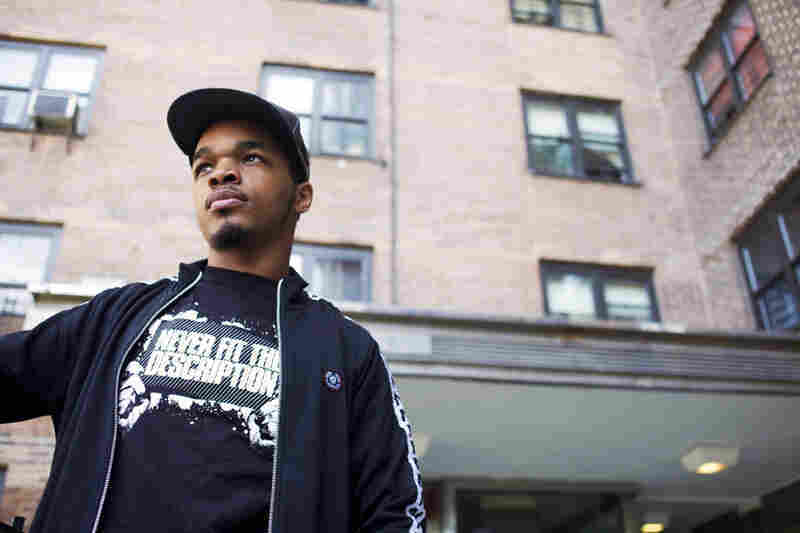 Ephraim Benton, an actor who grew up in the Tompkins housing project in Brooklyn, is one of those profiled. As a teenager Benton, now 36, was involved in gangs and arrested for felony assault. But because he was a minor, he says, he got a second chance — an opportunity to attend acting school. Benton has since appeared on television shows like Law and Order, and in movies such as the Oscar-winning Precious. Coming from the projects, Benton says, helped him become who he is today. "Seeing so much, you know, heartache and pain growing up, it helped me connect more with my emotions as far as characters," he says, sitting in the yard outside the eight brick buildings that make up the complex. Benton doesn't live at Tompkins any more, but often returns; he's set up several programs, including an outdoor movie series, to help keep teens here occupied and out of trouble. He also hopes they see from his example that there is a way out. "You know, these kids out here, they don't feel like nobody cares about them," he says. It's an attitude that Washington and Yanagawa think is exacerbated by the stereotypes those young people face, and that their exhibit could do a bit to correct.